Clarinet and piano combine to express “sad joy”, from Saint-Saëns to Poulenc. Fascinated by the timbre of the clarinet, Berlioz, in his “Traité d’orchestration”, lends it all the qualities but one: to be able to express “frivolous cheerfulness” and even “naive joy”. From Camille Saint-Saëns to Francis Poulenc, Ernest Chausson and Jean Françaix, French composers were careful not to contradict their eldest. They entrusted the romantic instrument par excellence with only the accents of a jovial bittersweetness, of a “sad joy” – “allegro tristamente”, notes Poulenc in the first movement of his Sonata for clarinet and piano, in 1962. The work had been commissioned from the author of Les Biches by Benny Goodman; the American virtuoso created it a few weeks after the composer’s death, accompanied by Leonard Bernstein. Today, the French duo Pierre Génisson-David Bismuth is a credit to its predecessors on the other side of the Atlantic. In Debussy’s Rhapsody for Clarinet, a twilight version of the “Prélude à l’après-midi d’un faune”, the duo demonstrates that between the timbre of the piano and the clarinet it is not only a marriage of reason, but a true elective and sensual affinity. – G.M. 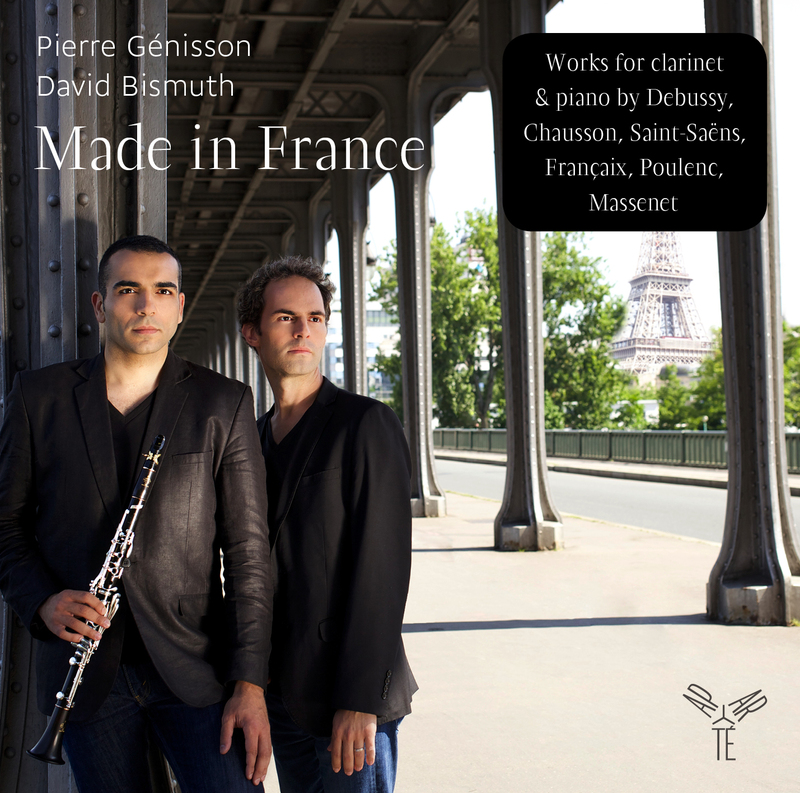 | Made in France, Saint-Saëns, Chausson, Debussy, Poulenc, Françaix, by Pierre Génisson (clarinet) and David Bismuth (piano), 1 CD Aparté. Mis à jour le 16/08/2017. Créé le 20/10/2014. This time between JS Bach and his sons, David Bismuth offers a magnificent new lighting between composers in his latest recital disc. Great strength and coherence of the musical journey around the father’s discourse, the disc reveals to what extent the three sons have assimilated the father’s heritage and developed a musical language in accordance with their time, thus creating a stylistic bridge between baroque and classical, between Handel, Bach father, Vivaldi and Haydn, Mozart. Exciting discovery of new works on CD (WF Sonata) or recorded only once or twice. After recording transcriptions of Johann Sebastian Bach’s works in 2009, David Bismuth once again devotes a disc to this composer, again with AmeSon but this time with three of his sons, Wilhelm Friedemann (Sonata in A minor CF nv8, obviously recorded for the first time at the piano), Carl Philipp Emanuel (Sonatas in B minor Wq. 55/3 and in F minor Wq. 52/4) and Johann Christian (Sonata in C minor opus 5), the father being represented by Toccata BWV 914 and Fantasy BWV 906. The pianist strives to clarify the texture, sing the intermediate voices and articulate clearly, with vivacity but without haste. It develops a very fine touch and a superior quality sound. This clairvoyant musician’s record lasts, certainly, a little less than an hour but it is very stimulating. 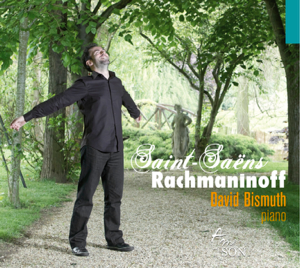 The general public probably does not know David Bismuth well enough, although he is rightly considered one of the most gifted pianists of his generation. He records little, but carefully chooses his program which he refines to deliver albums to the public at the limit of perfection where nothing is to be thrown away, where every note, every accent, every colour is right, in a natural and obvious breath, as if all this was obvious, with the technical and artistic complicity of Florence Hermitte, director of the AmeSon Label (which bears her name well). David Bismuth is a perfectionist, capable of modifying a concert program at the last minute, depending on the instrument and the acoustics of the place. His great sense of musical architecture and his research on timbres are often highlighted. All this is obvious when you listen to it, whether on record or in concert. But what we also hear is this very particular way of guiding us in the music, of taking us by the hand to go through it with him. Some great pianists show you a work and make it clear and obvious to you, which for me is already a form of magic. David Bismuth takes you to explore it, you enter it with him. The path is safe, he has removed all the obstacles without erasing their subtleties and richness, and that is even more magical. You will find me excessive and esoteric… But I am still on the little cloud on which David Bismuth left me at the end of his last concert and listening to the same program on CD (Bach, Father and Son) allows me to extend this precious feeling even further. After dedicating an album to transcriptions of Johann Sebastian Bach’s works by other composers from the Romantic period to the present day (B.A.C.H.H. 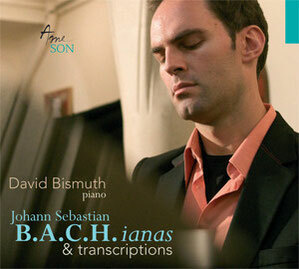 ianas and transcriptions), David Bismuth became interested in Bach father and his three sons. This is an original idea to compare the music of Wilhelm Friedmann, Carl Philipp Emmanuel and Johann Christian with that of their father Jean-Sébastien, a tutelary figure who is undoubtedly a little overwhelming and who has sometimes hidden the talent of his sons from the eyes (ears) of contemporary music lovers. David Bismuth himself presents his choice in a short introductory text: if in his many keyboard pieces, Jean Sebastien Bach is the inescapable genius of polyphony, his three sons, in a more discreet way, have laid the foundations for new forms, where melody dominates, without denying their father’s teaching. 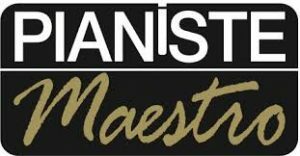 The choice of Jean Sebastien’s two works (Toccata in E minor BWV 914 and especiallyFantaisie in C minor BWV 906), is very telling to show that this evolution favoured by the sons is undoubtedly already in the making in the father’s music. We are slowly moving from the baroque to the classical, a classic that Johann Christian, the last son, already foreshadows the beginnings of romanticism. David Bismuth’s clear playing, for pieces often played on harpsichord, is enhanced both by the judicious choice of piano and by the sound recording. A very beautiful album that in its own way tells us a story, that of a filial and musical bond. This is how David Bismuth rightly defines the music of Bach’s sons. Born at the end of the Baroque period and grown up under the rules of classicism, these composers combine the two styles in works as original as they are engaging. The pianist therefore had the happy idea of bringing Wilhelm Friedemann (1710-1784), Carl Philipp Emanuel (1714-1788) and Johann Christian (1735-1782) together around their brilliant father under the sign of fantasy. The great Johann Sebastian is thus represented by two pages that seem improvised, written with a cursive feather (a toccata and a fantasy), and not one of those clever architectures that built his reputation. Composed in the middle of the 18th century, the sonatas of the sons are carried away by this great wind of freedom and passion that blew on the German music of the time. They do not hesitate to speak in the first person, to reveal an exacerbated sensitivity, to dare to use striking contrasts or to take refuge in an almost romantic melancholy. David Bismuth recreates its unpredictable ardour and tender tongues without giving in to the temptation of the sensational or the pure digital demonstration. Paradoxically, his mastery (touch, colour, shape) highlights the spontaneity and dramatic power of accidents and other surprises that punctuate these scores. The family reunion thus becomes a celebration of music. Parisians will be able to participate next Tuesday, March 11, at the Goethe Institut (www.goethe.de/paris) since the pianist will resume this program before performing with the Paris Orchestra on April 4. DAVID BISMUTH : AU NOM DU PÈRE ET DES FILS. 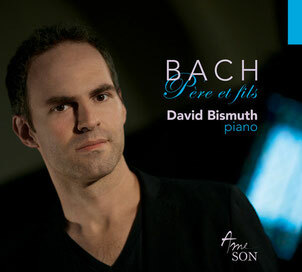 Pianist David Bismuth’s latest CD dedicated to Bach and three of his sons (see chronicle) offers a subtle and exciting look at musicians with diverse writing. Maintenance. What caused you to become so passionate about the “Bach family”? This disc echoes in a way the one released around Bach and his transcriptions [” B.A.C.H.H.ianas & Transcriptions ” published in 2009 by Ame Son]. This is a different way of paying tribute to him, this time through his sons. I wanted us to have a different approach to his music through this direct legacy, since it was Johann Sebastian Bach who formed them. How did you build this program? I wished that the father’s shadow would hang over his sons without being too overwhelming. That is why I have put at the heart of this program only two pieces by J. S. Bach, neither too imposing nor too long: a Toccata and a Fantasy. In the first, there is a great slow interlude that is already pre-romantic. It opens the way to the great recitatives of some of Beethoven’s sonatas. In the second piece, I find that there is also an already prebeethovenian strength and depth, as can also be heard in Carl Philipp Emanuel Bach. In his Sonata in F sharp minor, we find an abrupt alternation between stormy motives and melancholic recitatives that reveals a true innovation in musical discourse. Carl Philipp Emanuel Bach was the first performer to dare to draw a parallel between the expression of human feeling and pure music. I started from this observation in my work before discovering that he was the author of the famous treatise: “Essay on the true way of playing keyboard instruments”. This is the first “romantic” approach to interpretation, encouraging the performer to be the vector of the musical emotion of a work, which is no longer only composed Ad majorem dei gloriam. Have you referred to the treaty you are referring to or others for your interpretation? In fact, I did not seek an overly intellectual approach to this repertoire. I listened carefully to the few existing versions of these pieces and finally developed my own vision. I was moving a little blindly in these sonatas, which are almost unrecorded. Concerning Wilhelm Friedemann, my only sound reference was that of the harpsichord, since this is the first recording of this work on the piano. How would you characterize the styles and writings of each son? For Wilhelm Friedemann, I would emphasize a perceptible vocal dimension in the sonata’s original and timeless theme: you can almost sing it at the end of the first listening! This melody, of an overwhelming simplicity, could have been written at any time – why not on the occasion of a film music! – because it is not particularly characteristic of its time. The upper voice becomes the expressive and singing element and the left hand forms the accompaniment. A voice accompanied by a piano accompanist, doesn’t that announce Chopin? Concerning Carl Philipp Emanuel Bach, I hear a kind of pre-romantic bubbling, something very abrupt in the changes of atmosphere as in Beethoven and Haydn. I also chose a sonata with fugue by Jean Chrétien Bach, as a nod to this form so dear to his father. It is in this son that I feel the most baroque influences. His work is a kind of link between the Baroque and Classical worlds. What would be the sonatas of J. S. Bach’s sons that could be played by a good amateur? The first movement of Wilhelm Friedemann’s Sonata, the Andante of Carl Philipp Emanuel’s Sonata in B minor – almost a slow movement – as well as Jean-Chrétien’s Gavotte seem playable to me at all levels. Was it the repertoire that determined the choice of the instrument? Exactly! Exactly! All these works are referred to as “keyboard sonatas”, which means that the composers may have anticipated or anticipated the evolution of instrumental construction. I wanted a piano that had its own sound colour and did not refer to Steinway sound. So I chose a Steingraeber that I found beautiful. It allowed me to approach this repertoire with a relatively neutral conception without anyone saying to themselves from the first chord: “It’s a Steinway! We’ve already heard Chopin on it. “You enter the work without having the filter of a typical instrument. I hope that the result corresponds to my wish. Did this piano allow you to have more harmonics, comparable to the harpsichord? Indeed. The sound colours were very rich, especially since it perfectly matched the acoustics of the temple. It may have less projection than some Steinway, but in this place, it was growing. Finally, what advice would you give to Pianist readers who wish to work on the Allegro of W. F. Bach’s Petite Suite in B flat major (available in PIANISTE magazine n° 85)? To play this music, it seems to me first of all necessary to try to stay within a rather strict rhythmic framework. It is essential to listen to the sound without adding rubato or camouflaging the vocals under the pedal. Otherwise, the music would become mundane. The qualities of the harpsichord should not be forgotten, so that the legato playing can only be done by the fingers. It is advisable to remain attentive to harmonic frictions, by the resonance of a note that extends into the next chord. The attention paid to the length of each sound is much more important in this repertoire than it is in romantic music. The use of the soft pedal is necessary. It offers an additional richness of registration. Finally, you shouldn’t vary the tempo without, however, having a metronome in mind! Rhythmic freedom is always within a well-defined framework. It is a subtle work that Maria João Pires taught me, who knows the classical and pre-romantic repertoire well and with whom I have worked for several years. 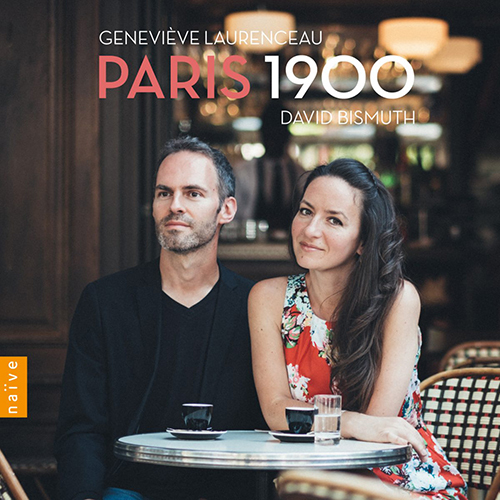 After two discs of French music devoted to composer pairing and a disc dedicated to JS Bach, this disc is a new mirror of unexpected and unpublished composers that continues the exploration of the post-romantic period, a pivotal period in the history of music, dear to David. A very original selection of works from JS Bach’s repertoire transcribed for the keyboard by many composers over the centuries to the current and highly renowned Karol Beffa, accompanied by works inspired by JS Bach or written on the theme B.A.C.H. Bach’s keyboard music regularly pits pro-clavecin against pro-piano. As with tea (with or without sugar), or cooking soft-boiled eggs (directly in boiling water or first in cold water), the answer may only be a matter of personal taste. But in good musicological law, the debate is quickly settled. For a Bach in his own juice – that is, the text in its true texture (harmonic, timbre, rhetoric) -, it is necessary to cook with plucked strings: the young generation of French harpsichordists, from Pierre Hantaï to Céline Frisch and Benjamin Alard, get along perfectly. On the other hand, if we remember that Bach was one of the most active transcribers of his time – and first of all of his own music, moving it from one solo instrument to another or to the entire orchestra, from a secular genre to a sacred page – then yes to the conversion to struck strings! Overcoming this quarrel between the old and the new, the exciting recording by French pianist David Bismuth has a more ambitious purpose: follow, like a common thread, Bach’s writing through that of his transcribers, whether they are pianist-composers (Liszt, Busoni), pianist-composers (Wilhelm Kempff, Alexander Siloti, Rachmaninov’s cousin), or creators fascinated by the Cantor’s contrapuntal rigour (Schumann trying to create a more “Bashian” fugue on the letters named B A C H!). Each of these piano transpositions verifies the rule laid down by Arnold Schoenberg, also a great transcriber, at the head of his Viennese concert society: “The composition is in the foreground, the instrument is only taken into account, not the other way around. “The range of jubilations deployed by this anthology of “Bach Reviewed and Corrected” extends from the pure pleasantness of the text (Saint-Saëns, from cantata BWV 29) to the stunning exhilaration of writing (Busoni, on La Chaconne de la Partita for solo violin, BWV 1004). Playing a modern Steinway, as brilliant as it is deep, David Bismuth adds his own touch: the voluptuousness of intelligence. Bach piano recitals have been in fashion for some time. 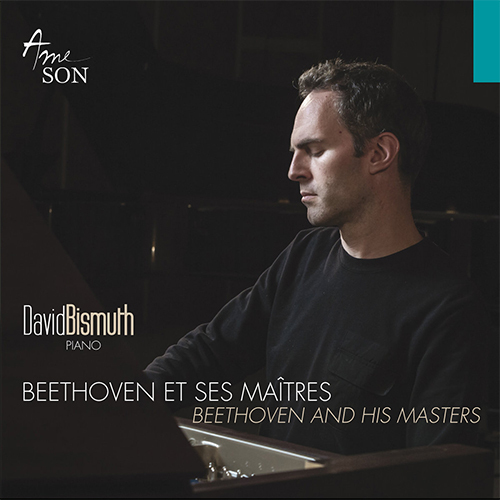 While it is better not to dwell on Hélène Grimaud’s mediatized and overvalued CD, David Bismuth’s recording is worth a visit. After remarkable CDs by Franck/Fauré and Dukas/Debussy with the same publisher, this discreet and sensitive pianist has created a program as singular as it is convincing. Famous transcriptions of Bach’s pages, by Busoni (la Chaconne), Kempff (la Sicilienne), Liszt, etc., form the main part of a programme that also features a recent achievement: a superb arrangement of the aria “Erbarme dich” from the St Matthew Passion by the composer Karol Beffa. In comparison to these various transcriptions, the originals of Schumann and Villa-Lobos – in homage to Bach, of course! – show the pianist equally prodigious in colour and lyricism. To surprise or to move? As a keyboard poet, David Bismuth makes his choice easily: his interpretation sounds true. 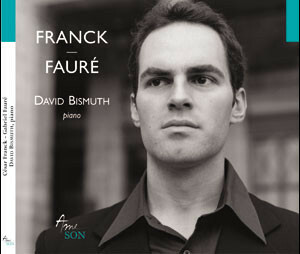 The first recital disc of pianist David Bismuth, already selected by Pianist magazine as one of the ten most promising young pianists of his generation, the program offers a journey of French music that allows the best works of each of the two composers to illuminate each other, all in an acoustic and with a piano that reflects the organizational essence of this musical universe. Here is an example of a project carefully designed to combine in a homogeneous way an interpretative will, a carefully chosen instrument and a well recorded acoustics, that of the temple Saint-Pierre, which sets the organ sounds of the Prelude, Fugue and Variation by Franck faithfully transcribed for piano by Harold Bauer. On a splendid Fazioli offering a wide resonance in the bass and beautiful backgrounds (we will just tilt on a few high notes still a little raw), David Bismuth envelops in a sonorous aura of planes reminiscent of the registrations of the organ’s various keyboards. He naturally finds the agogic approach unifying the Prelude, Choral and Fugue to be natural and, in a great respect for nuances, he avoids any grandiloquence to privilege the concentration and nobility of an interiorized spirituality. Less well known, Slow Dance evolves under his fingers with a dreamy distinction. The Fauréenne part covers the entire creative life of the composer in three stages. David Bismuth leads Nocturne No. 1 through a luminous cantabile and stormy or dreamy episodes. In Theme and Variations, he exposes the theme with a dark resolution and then identifies both the fullness of a virtuosity that spans all registers and the expressive subtlety of a universe suspended in timelessness. Finally, Nocturne n°13 is a final summary of the itinerary of a tormented harmonic language passing through a central section that the young pianist raises with the energy of despair. A program thought out and played with a deep elevation of mind. 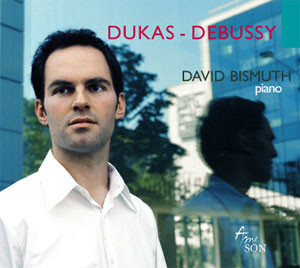 Second recital disc of pianist David Bismuth in a programme of works written around 1900 highlighting once again the universe of two French composers living at the same time and appreciating each other very much, including the major and masterly work of Paul Dukas, his sonata, very difficult technically and very little recorded.